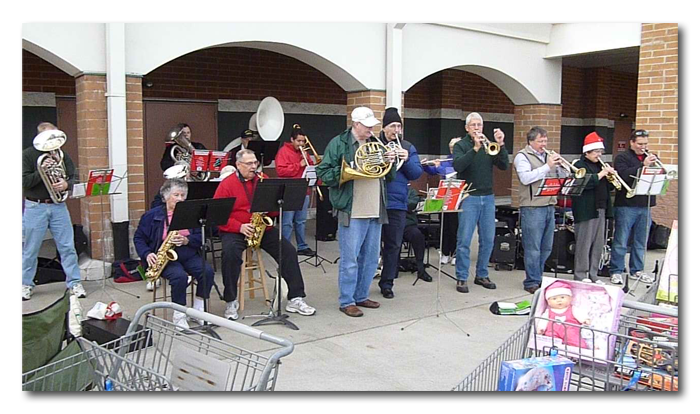 Mason Community Band supported Toys 4 Tots by playing some cheerful holiday tunes again this year. 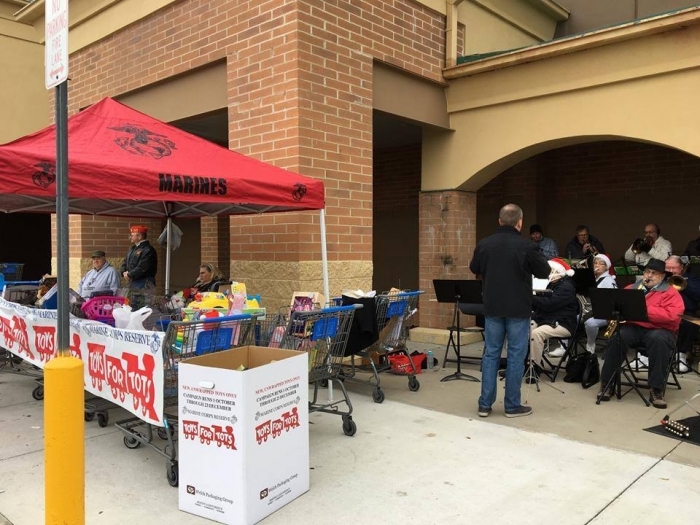 Thanks to all that came out to hear us and donate toys. 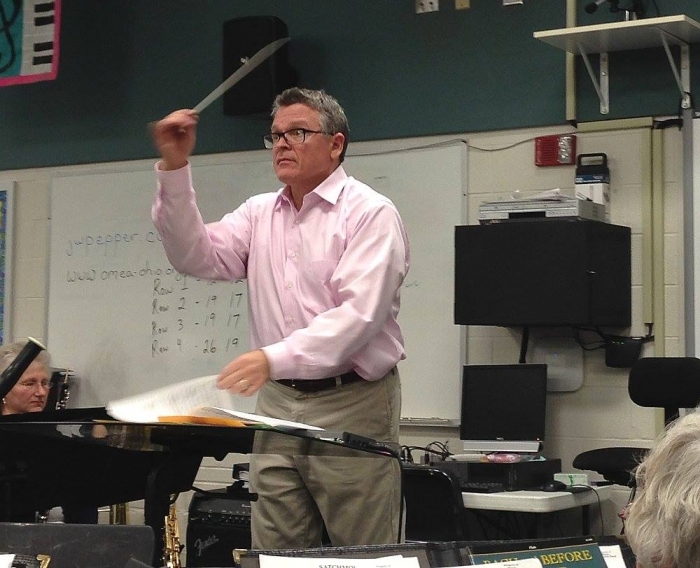 The fall concert in November 2014 marked the return of Scott Cook as the conductor. The concert drew a record audience. 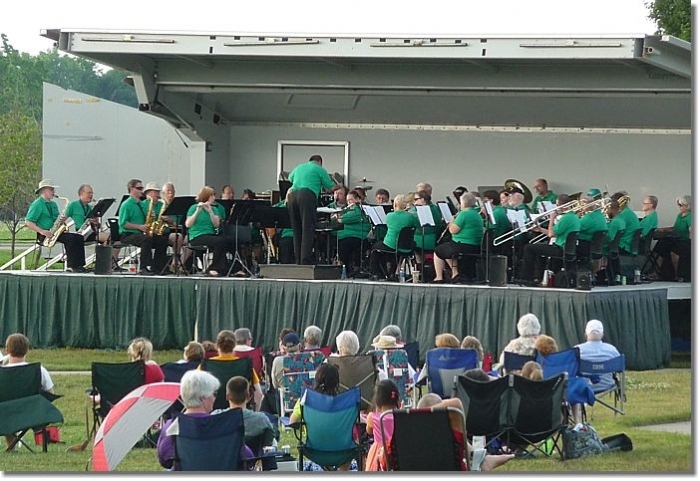 We kicked off Mason's Summer Concert Series for 2014 with a nice crowd and ideal weather conditions. 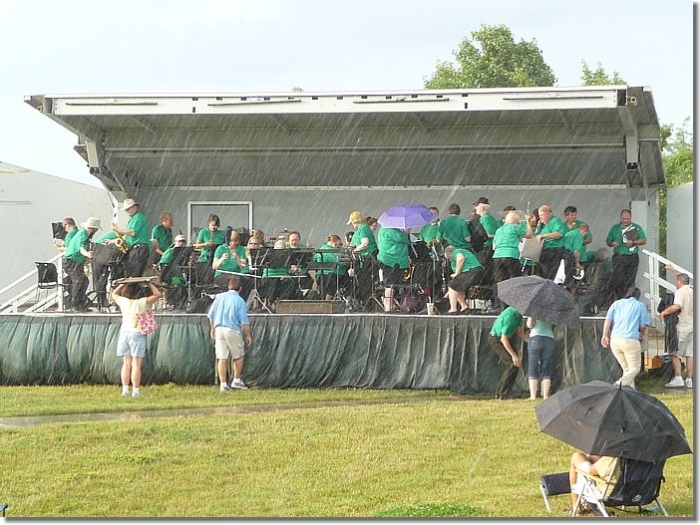 We were half way through the last song when the skies opened up! 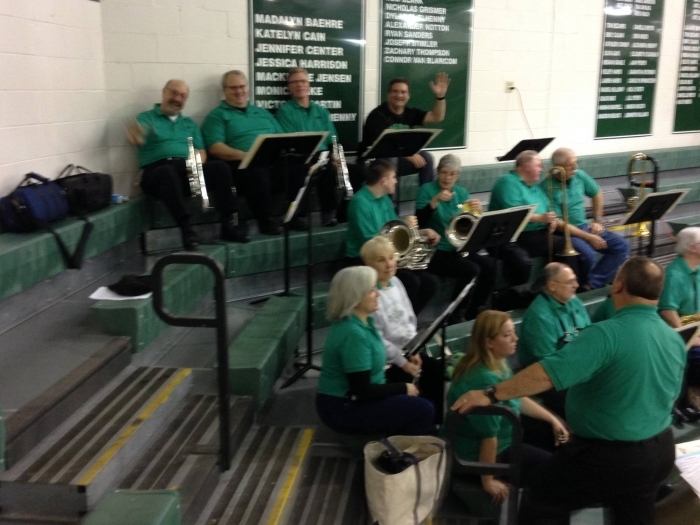 One of the events MCB does every year is to provide a pep band for a couple of basketball games. It is our way to say thank you to the Mason School district and band program for allowing us to use the facilities. We had the privilege of being rehearsed by John Morris Russell of The Cincinnati Pops Orchestra in March of 2016. It was quite a thrill for our members. 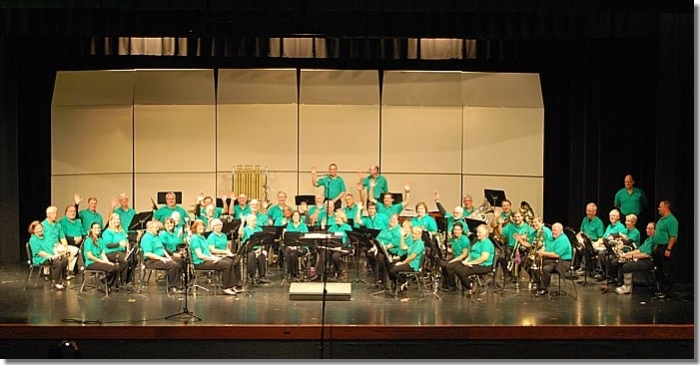 Copyright © 2019, Mason Community Band. All rights reserved. Website design by Kyle Echols.